The Seven Deadly Sins is one of the more popular action and anime series, and now with two seasons and a movie under its belt the franchise will be moving forward toward its climax. The series will be getting a new anime series to move the story towards it planned end, but the anime will be getting a new main staff and production studio than fans are used to. 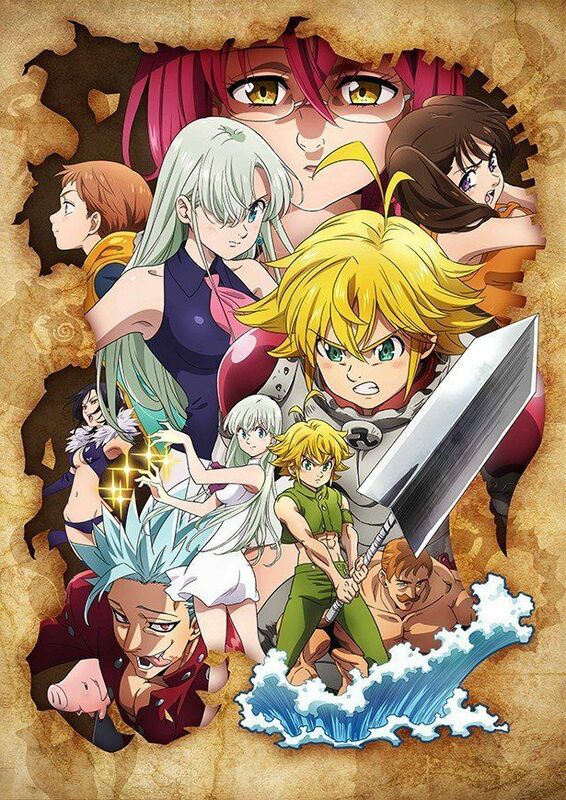 Dubbed The Seven Deadly Sins: Wrath of the Gods, this new series will be produced by Studio DEEN instead of being handled by A-1 Pictures like the first two seasons and film. Currently slated for a release later this Fall (though it's still not quite clear if this is considered a third season, or if it's like the short project in between seasons one and two), The Seven Deadly Sins: Wrath of the Gods will be directed by Susumu Nishizawa (who worked on storyboards for The Seven Deadly Sins: Revival of The Commandments). Rintarou Ikeda (Love and Lies, Love Tyrant) will be composing the series, and composers Hiroyuki Sawano, Kohta Yamamoto, and Takafumi Wada will be returning from the previous productions for the new project. The returning voice cast has been confirmed as well with Yuki Kaji as Meliodas, Sora Amamiya as Elizabeth, Misaki Kuno as Hawk, Aoi Yūki as Diane, Tatsuhisa Suzuki as Ban, Jun Fukuyama as King, Yuuhei Takagi as Gowther, Maaya Sakamoto as Merlin, and Tomokazu Sugita as Escanor all coming back. The Seven Deadly Sins was originally created by Nakaba Suzuki for Kodansha's Weekly Shonen Magazine in 2012. It follows the story of Elizabeth, third princess of a kingdom that has been taking over by the Holy Knights after staging a coup. She leaves in search of The Seven Deadly Sins, a group of knights who had defended the kingdom ten years ago who had disbanded after they were blamed for plotting against the kingdom. Though the Holy Knights had said the Seven Sins had been slain, Elizabeth eventually meets their leader Meliodas. The series has so far spawned two seasons of a popular anime series, which you can currently find streaming on Netflix. Fans agree the series upped its game with Season 2, The Seven Deadly Sins: Revival of the Commandments, as it deals with the Ten Commandments, ten powerful warriors each chosen by the Demon King and bear a powerful curse known as a "Commandment." It gives them enhanced strength, but will curse them should they break one of the Demon King's rules. The Ten Commandments lived 3000 years ago until a betrayal from one of their members led to them being sealed in the Coffin of the Eternal Darkness.